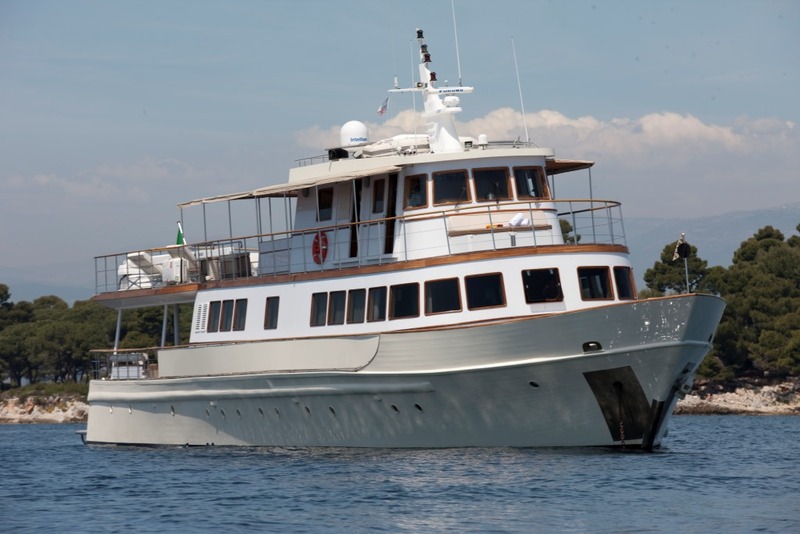 Classic motor yacht CLARA ONE was launched in 1961 and extensively refitted in 2003, she is a custom designed yacht by the French shipyard by Chantier de L’Esterel. 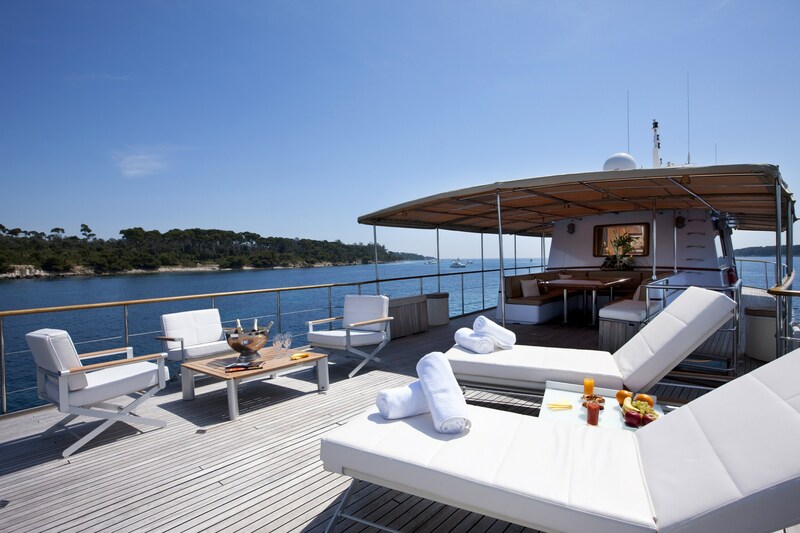 Yacht CLARA ONE offers generous accommodation for up to 14 charter guests, in 7 en-suite cabins. 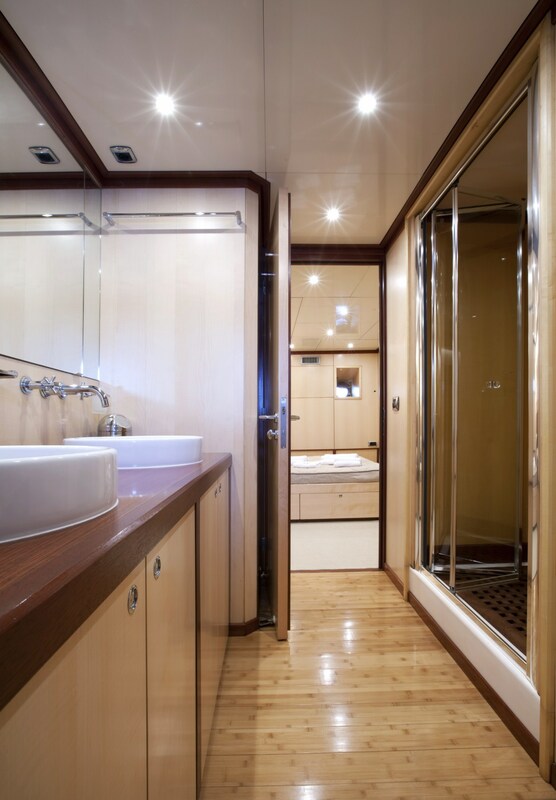 M/Y CLARA ONE offers a contemporary interior décor by JP Fantini, featuring pale wood panels and floors, sumptuous soft furnishings and ample natural light. 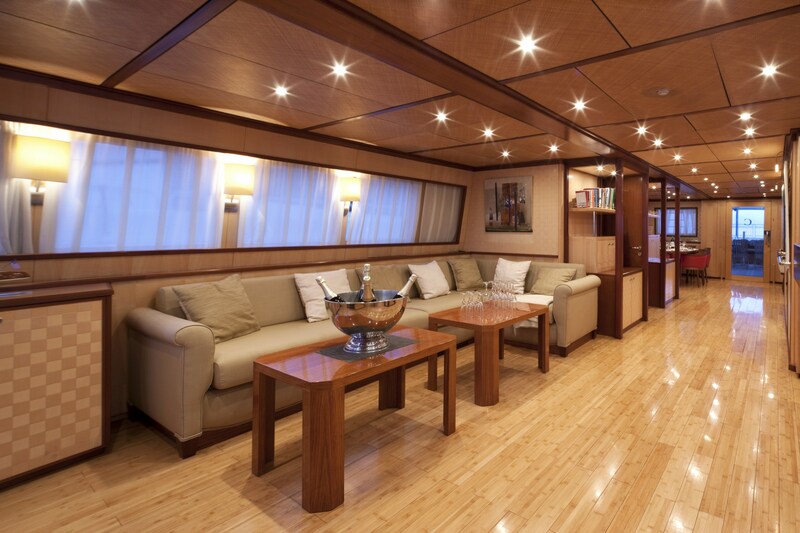 The spacious salon is forward on the main deck and features an L shaped sofa, coffee table, occasional chairs, games table, wet bar and full entertainment systems. 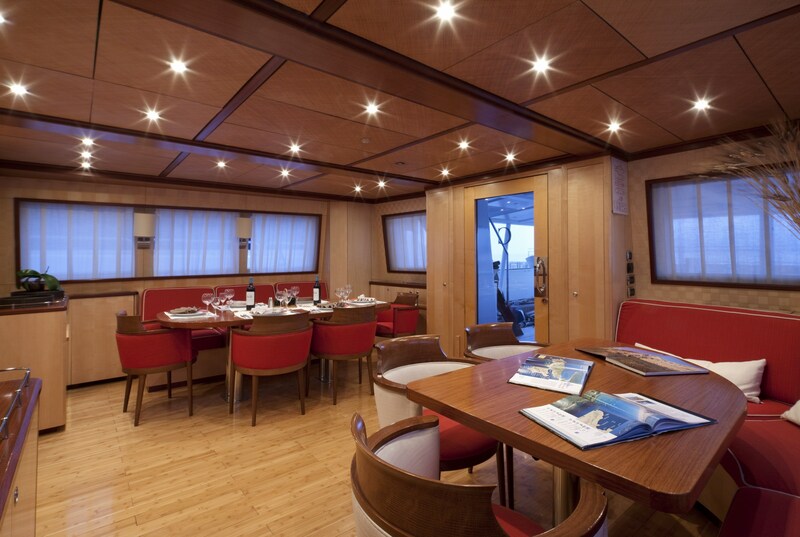 Aft and separate of the salon is the formal dining area, complete with two elegant dining tables. 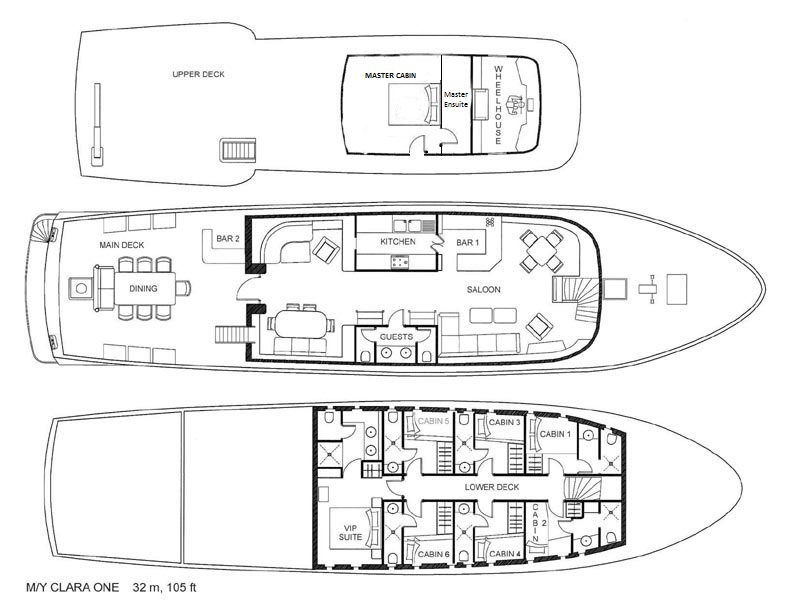 On the upper deck is the dull beam master cabin, while on the lower deck is the full beam VIP cabin, 1 double and 3 twin cabins. 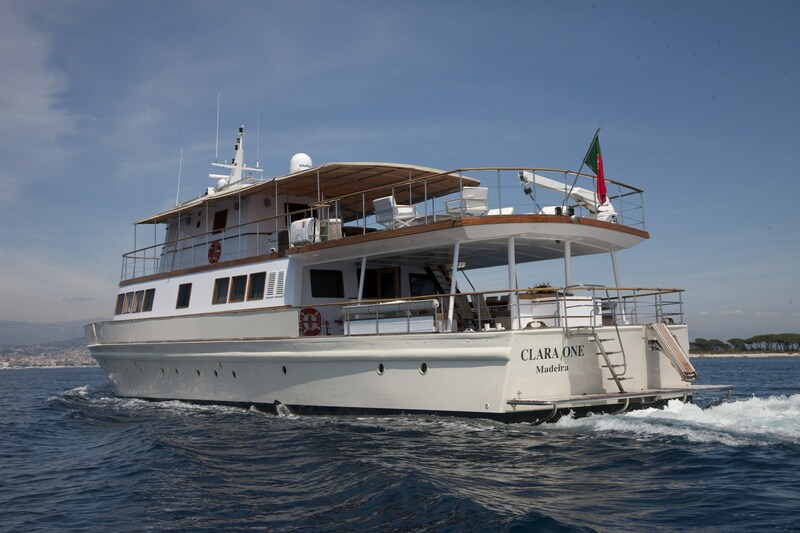 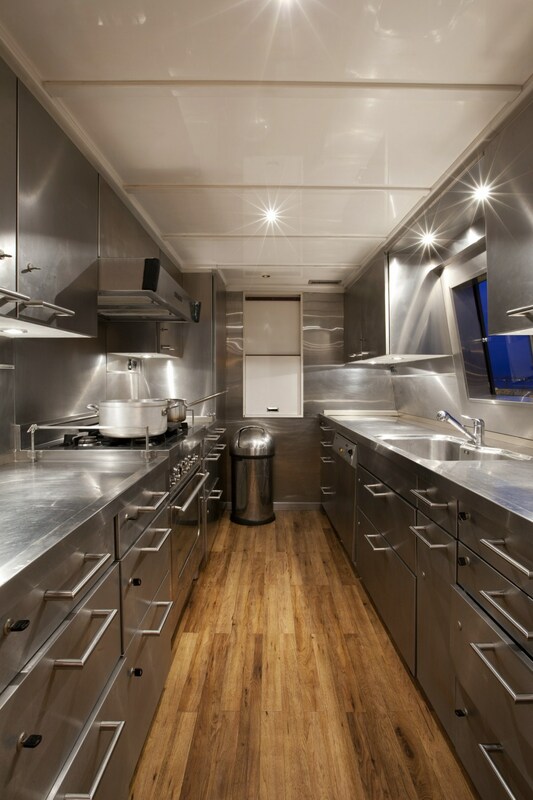 Charter yacht CLARA ONE is fully air conditioned throughout. 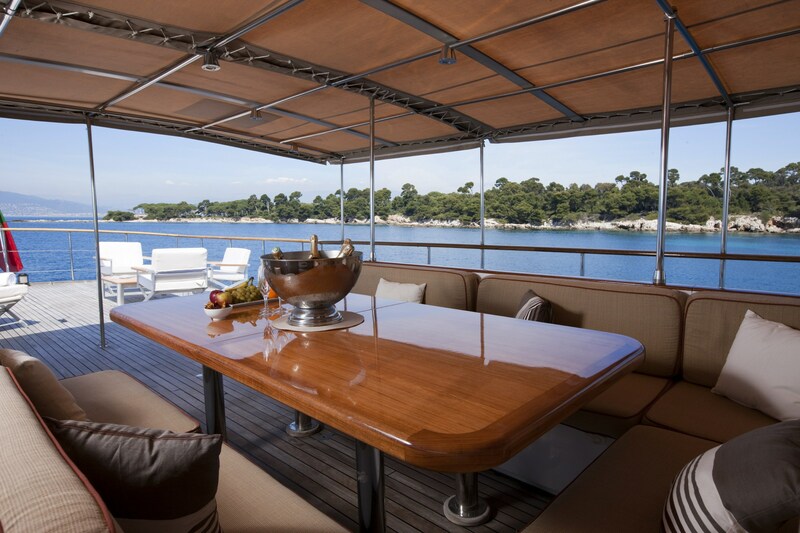 Luxury motor yacht CLARA ONE has ample exterior living, she is the perfect yacht for large groups, whether entertaining or relaxing. 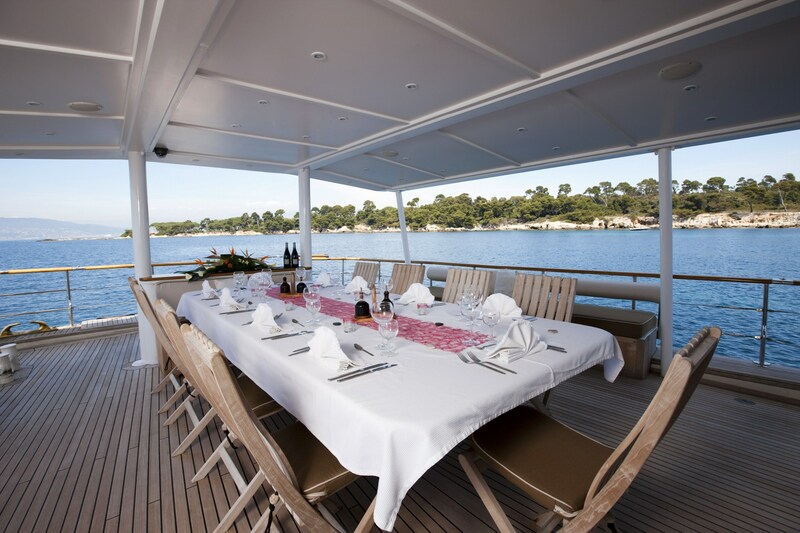 On the main deck, adjacent to the salon and dining is the shaded aft deck, offering a large alfresco dining option. 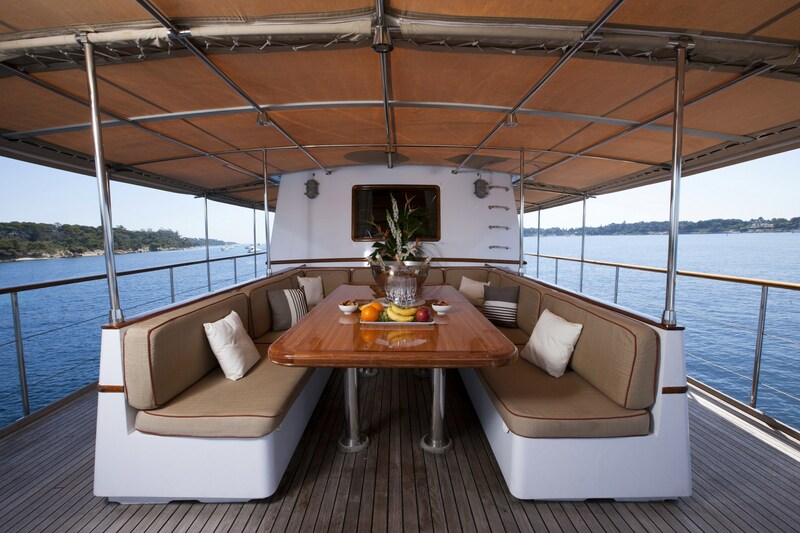 On the upper deck is a further alfresco dining table, followed by chaise lounges and exterior seating. 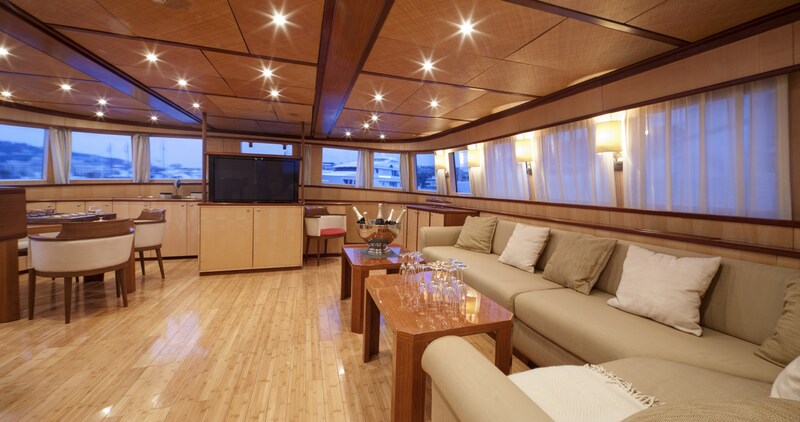 The upper deck wraps around 360° and leads to a forward facing seating area. 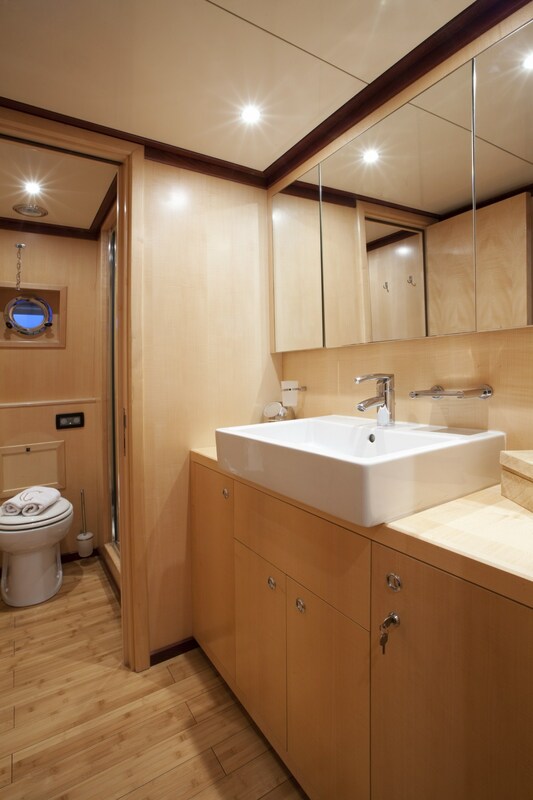 M/Y CLARA ONE has a full beam swim platform, ensuring guests effortless water access. 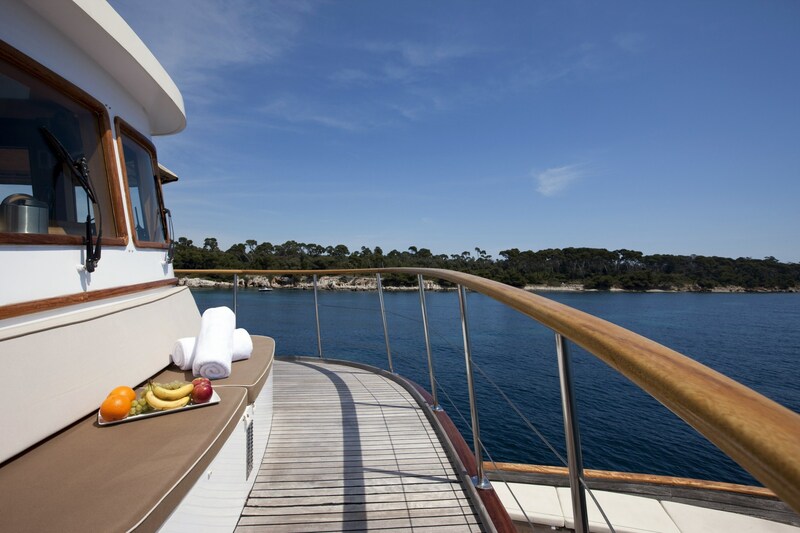 Powered by 2 x Baudouin 400hp engines, CLARA ONE yacht cruises at 10 – 12 knots. 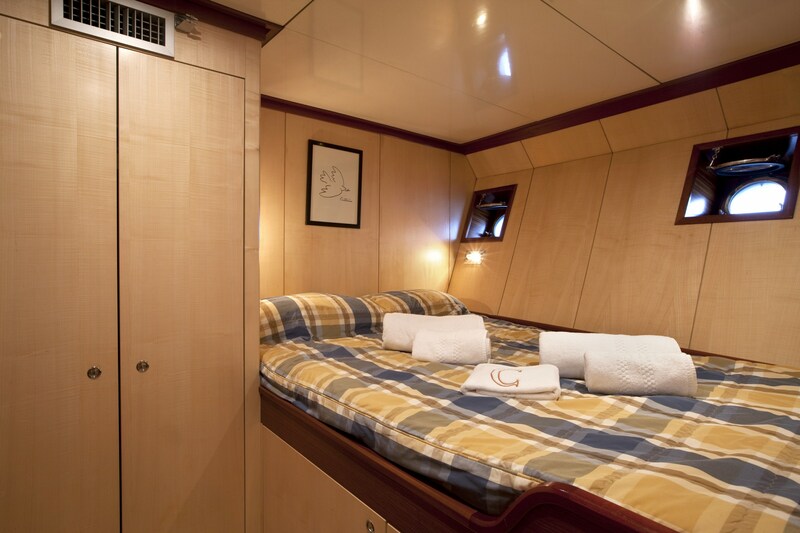 Classic charter yacht CLARA ONE offers modern and timeless accommodation, in 7 cabins for up to 14 yacht charter guests, each with private en-suite facilities. 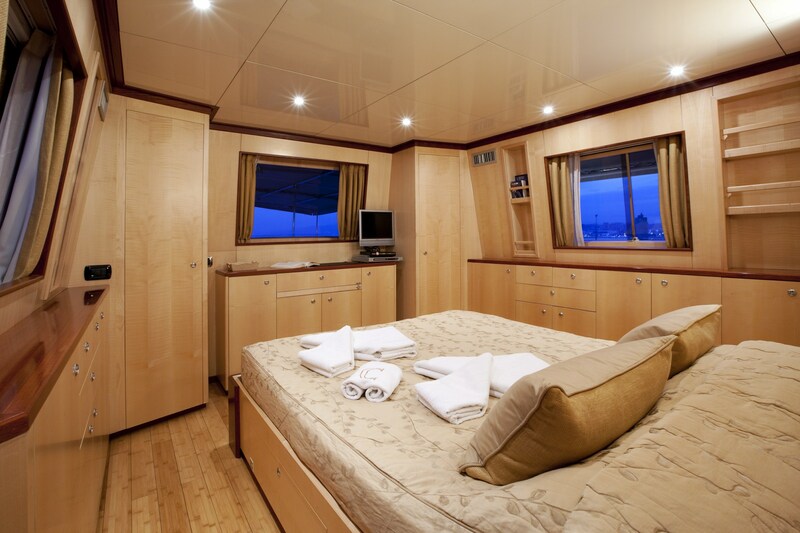 The master stateroom is on the upper deck and is full beam of the yacht, with a center lined queen size bed and full beam en-suite. 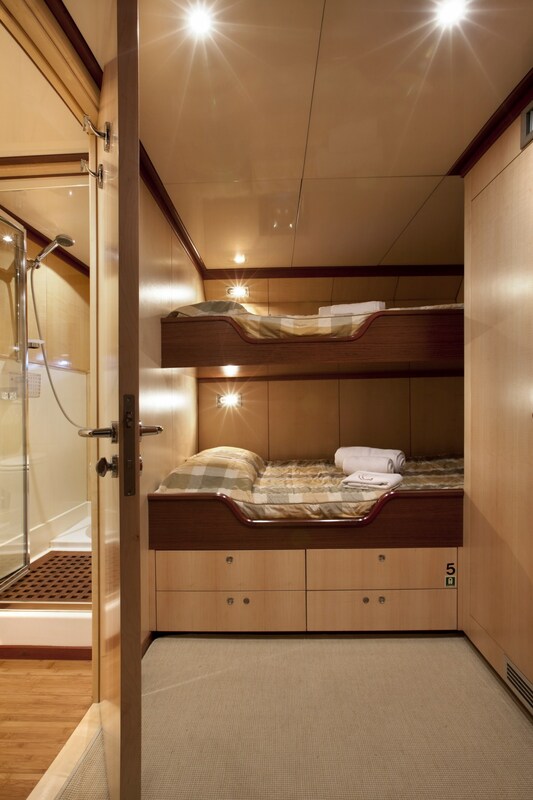 On the lower deck is a full beam VIP cabin, with queen size bed. 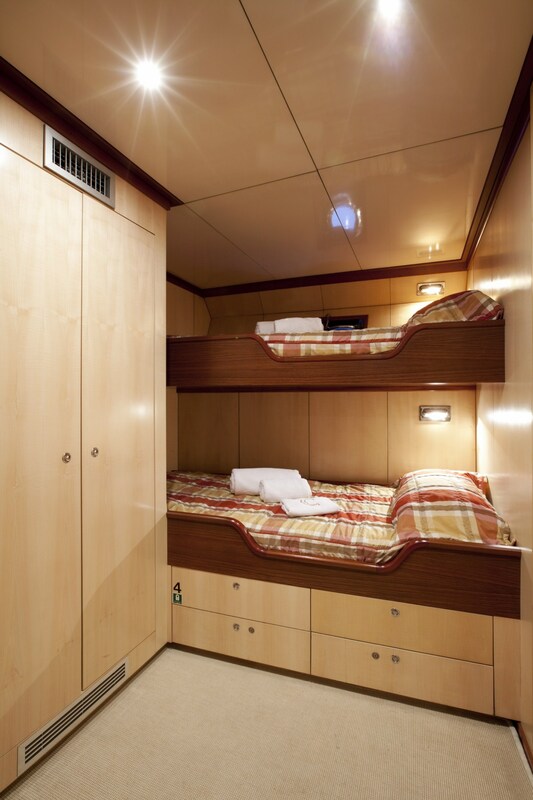 Two guest cabins offer double beds and 3 guest cabins have upper and lower single beds. 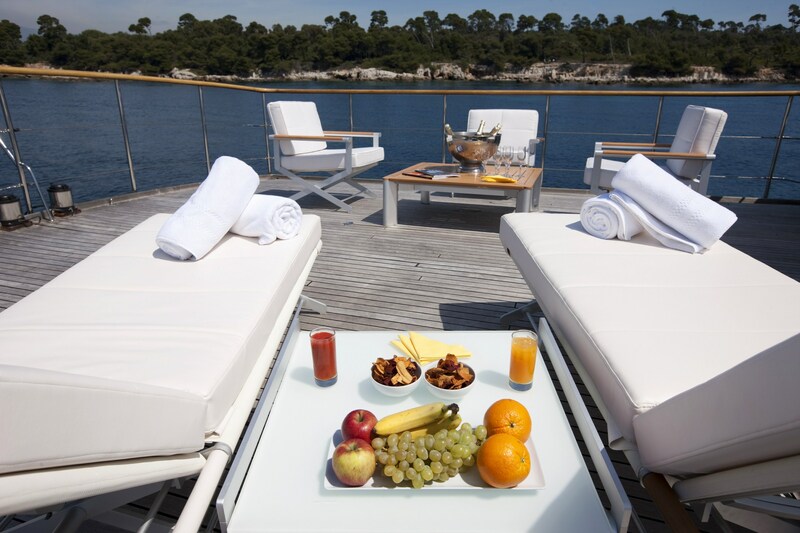 Please note: CLARA ONE offers 6 cabins in cruising configuration and 7 cabins for static charters only.